Boss' worry: What happens after subsidy is withdrawn? MR TNG Chua Hock, founder of distribution firm Tec-Hub, said the Wage Credit Scheme has left him in a dilemma. While he would like to take advantage of the wage subsidy to raise salaries, the long-term sustainability of these higher wages is a concern. "The question is, what happens after the third year? Will the firm be left bearing the cost of the higher wages after the subsidy is withdrawn?" 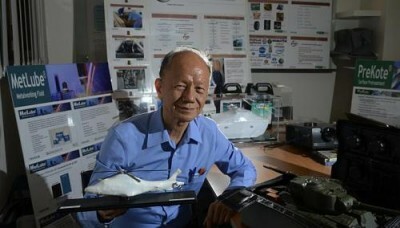 said Mr Tng, who started the company in 1997. While he has recently invested $14,000 in software that helps the company track its sales, inventory and supplier information in real time, Mr Tng said that in a "basic trading operation" like his, there is limited scope for further productivity improvements. "Whether or not the business is profitable enough to sustain those higher wages in future is also an issue," he added. Mr Tng does not intend to "bump up the quantum of increments just because of the subsidy" - instead, staff salaries will continue to be tied to the performance of the company and of individual employees. The firm's traditional business is in distributing clean room consumables to high-tech industries. It recently diversified into distributing other business solutions such as non-corrosive product packaging technology and waterless engine coolants. Its six employees - all Singaporeans - received wage increases ranging from $150 to $300 last year. Staff receive boosts to their base salaries of about 5 to 10 per cent each year. Yearly changes in the firm's profitability have typically been reflected in bonuses given to employees, rather than increments in base salaries. Cost-savings from the subsidy will still be directed towards staff incentives, Mr Tng said. "Our subsequent wage increments will be what we feel is fair to give to staff, regardless of the subsidy."